NERDIES™ is a STEM-based educational program designed for children and young adults ranging in ages from 6-18. Our program offers hands-on training in areas such as 3D animation, robotics, movie making, photography, video game development, how to be a YouTube star, coding for Minecraft, and more. 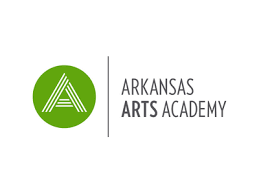 Our program comes in different formats throughout Northwest Arkansas.We offer in-school, semester long education in places like The New School and The Arkansas Arts Academy. We offer week-long summer camps with multiple location partners such as The Scott Family Amazeum, Crystal Bridges Museum of American Art, The Arts Center of the Ozarks. Custom weekend workshops are also available as are after-school care experiences. NERDIES™ is actively engaged with providing experiential learning opportunities and experiences for fresh, young, creative minds at the crossroads of digital art and technology. We’re not just providing entertainment. We’re planting seeds and creating a pipeline for the future. If you’d like to know more about our offerings, sponsor a summer camper, partner up on a new initiative, or bring NERDIES™ to your school, please reach out. We love discussing how we can help make Northwest Arkansas a better, more far-reaching place for young ones interested in careers in media and visual arts.